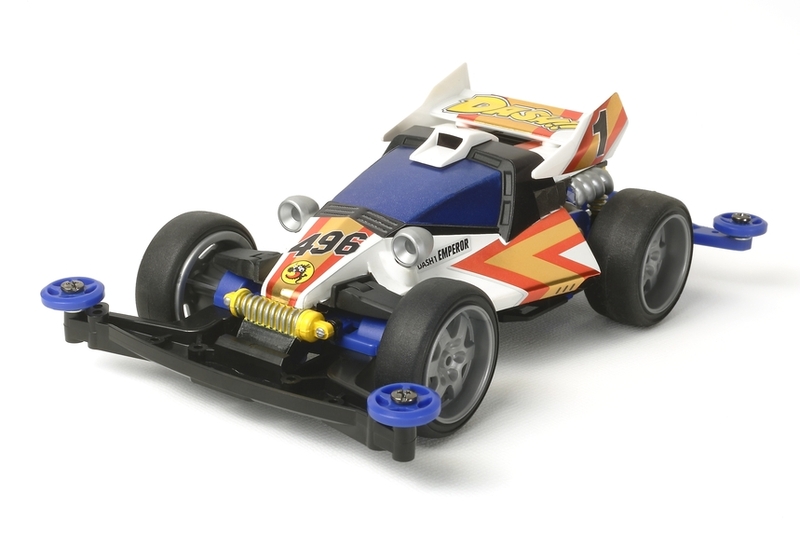 The Mini 4WD Emperor, which was originally released in 1988, is now offered on the modern Super-II chassis to commemorate the 30th anniversary of Tamiya"s Mini 4WD products. Special Feature 1 Body molded in black. Special Feature 2 A-Parts are molded in Blue ABS plastic. Special Feature 3 Large-diameter 6-spoke silver wheels. Special Feature 4 Black, large-diameter slick tires. 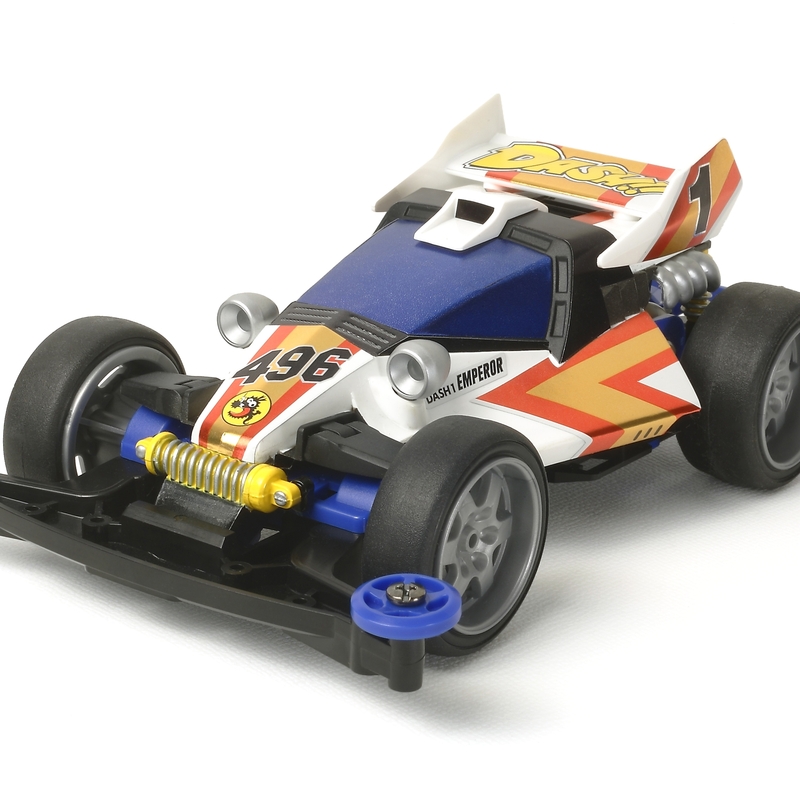 Special Feature 5 Features 4.2:1 gear ratio.